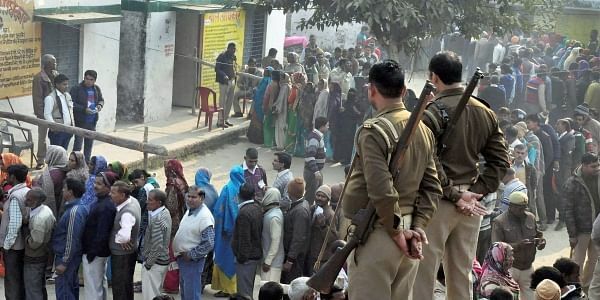 At least six people including women were injured in a clash between two groups over an issue related to the local body elections in Uttar Pradesh. MUZAFFARNAGAR: At least six people including women were injured in a clash between two groups over an issue related to the local body elections here, police said. The incident took place at Charthawal town in the district last evening, SHO GC Sharma said. Members of the groups led by two candidates attacked one another with stones and sticks. It was not clear what led to the incident. Police rushed to the spot and brought the situation under control. Security has been bolstered in the town.